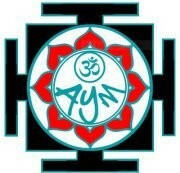 Start taking classes at Ashtanga Yoga Montclair and other studios! Ashtanga Yoga Montclair offers a place to establish a yoga practice where you can learn and grow and be a part of a community. Teachings are true to the tradition of the Ashtanga yoga lineage. Programs include guided classes, full led primary, led beginners and an introduction to Ashtanga series. Amazing class, studio and people. Advanced Yogis and I love practicing at this studio!